If you have found significant amounts of black mold on your property, you may want to hire a professional mold remediation company to handle your removal. By trusting your mold removal to a company that specializes in mold testing near the Hamptons, you can trust that your mold problem has been safely and effectively eliminated. Your black mold removal technicians will use proven methods to get rid of your mold problem for good. The mold removal process starts with a thorough testing of your property. Your remediation crew will figure out precisely which areas throughout your home have been contaminated with mold. Next, these spaces will be thoroughly cleaned and dried. 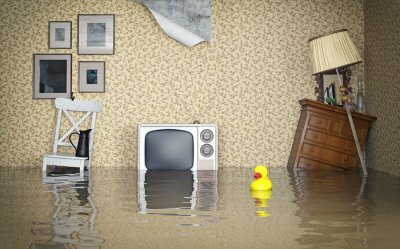 Finally, your technicians may recommend that you use waterproofing to ensure that your home is protected from the return of a mold problem. After your mold remediation process is complete, your home will be completely safe for you to occupy. There are lots of little problems around the house that can wait, but mold isn’t one of them. If you suspect you have mold in your home, it’s important that you seek out professional mold remediation as quickly as possible. Putting mold on hold will only make the problem worse, so don’t waste any time scheduling service with a mold remediation company in Long Island . Watch this video from ABC Action News to learn more about the mold removal process and to understand why it’s important to hire a professional mold remediator. In order to get rid of mold for good, it’s important that the moisture issue which led to mold growth is addressed first. A professional mold remediator will identify moisture problems in your home and recommend solutions to prevent mold from returning in the future. 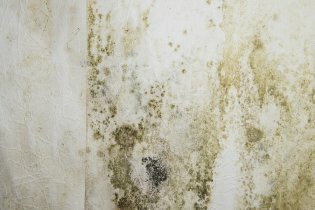 What Types of Mold are Common in Homes? Aspergillus spores are everywhere. When conditions are right, these spores multiply and lead to a number of negative symptoms, the most common of which are allergic symptoms such as watery eyes, sneezing, and a runny nose. People with weakened immune systems may also be susceptible to respiratory infection by Aspergillus. There are several types of Aspergillus, so an indoor mold inspection is needed to determine which strain is growing inside your home. Cladosporium is often found growing on textiles, wood, window sills, tile grout, and plywood. It is often found in areas of the home where the relative humidity is regularly above 50%, such as on the back of toilets and inside air ducts. Some people may experience hay fever, asthma, and allergic hypersensitivity due to Cladosporium exposure. Stachybotrys is a greenish black mold that grows on material with high cellulose content, as well as building materials such as ceiling tile, drywall, wallpaper, insulation backing, particleboard, and wood—especially when these items become water damaged. Exposure to Stachybotrys (also known as “toxic black mold”) can cause internal hemorrhaging, mental impairment, nausea, and immune system suppression. In extreme cases, exposure to toxic black mold can also lead to life-threatening illnesses. If you suspect that mold is growing inside your home, contact a mold remediation provider in Center Moriches. 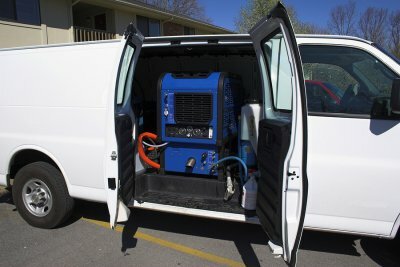 Mold removal requires specialized equipment and training. Improper mold removal is unsafe, and it may not remedy your indoor mold problem. 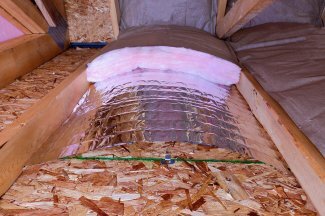 Crawlspaces tend to be damp, but there’s a limit to how wet your crawlspace should be. Due to the natural upward flow of air, you end up sharing the same air that exists in your crawlspace. In other words, whatever conditions exist in your crawlspace naturally exist in your living space. If your crawlspace is damp and musty, your entire home becomes damp and musty and a perfect breeding ground for mold and mildew. And if you didn’t already know, mold can pose a serious hazard to your health and your property. If you want to keep your crawlspace reasonably dry, contact a basement and crawlspace waterproofing company in Suffolk County . Crawlspace waterproofing will improve the air quality inside your home and make it less likely that you will have to deal with a serious mold problem. Could Mold Explain Your Family’s Health Symptoms? 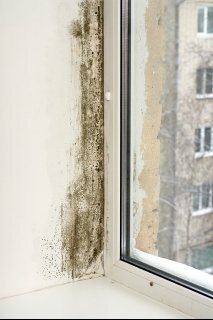 In nature, mold is extremely beneficial; inside, it can be a big problem. That’s because indoor mold has the potential to cause a number of health problems, especially in children and the elderly. If you don’t feel like yourself, or if your children have been exhibiting signs of indoor allergies, you should schedule a mold inspection with a mold remediation company as soon as possible. Here’s a look at some of the most common health problems linked to indoor mold exposure. If these symptoms sound familiar, contact a mold removal provider in Center Moriches to make your home safe once again. Allergic reactions to mold are the most common health effects of exposure to mold . Molds produce irritating substances that act as allergy-causing substances in sensitive individuals. Symptoms of mold allergy include sneezing, runny nose, coughing, wheezing, tearing and redness of the eyes, and skin irritation. If you notice these symptoms in yourself or your family well past the allergy season, you may need to have your home inspected for mold. Mold has been linked to the worsening of asthma symptoms in people who suffer from asthma. Even if no one in your household suffers from asthma, mold can still cause respiratory problems. In 2004, the Institute of Medicine found that there was sufficient evidence to link exposure to indoor mold with upper respiratory tract symptoms, cough, and wheezing in otherwise healthy individuals. Indoor mold is also linked to hypersensitivity pneumonitis in individuals susceptible to his immunologic condition. Acute hypersensitivity pneumonitis tends to occur up to 12 hours after exposure to mold. Symptoms of acute hypersensitivity pneumonitis include fever, chills, coughing, shortness of breath, body aches, and fatigue. If anyone in your family is exhibiting these signs, contact a mold remediation company as soon as possible.